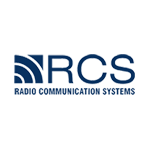 RCS is a telematics engineering company established in 1994. The company develops and manufactures advanced fuel monitoring systems for stationary and mobile assets. The factory and R&D department is located in Kiev, Ukraine. RCS is a client-oriented company, and committed to adding value to international partners and their end clients. EPSILON capacitive fuel level sensors manufactured by RCS are easily integrated with third party tracking devices and software. Unique features and reliability made EPSILON the sensor of choice for partners in more than 60 countries.